The check engine lamp can signal a variety of issues. The lights you should pay close attention to are check oil/oil level low, oil pressure low, and check engine. However, if any dash lights continue to stay on after you start the engine it is time for you to contact us for an engine diagnostics service. Typically when light switches stay on in the dash it is the first sign of engine problems. 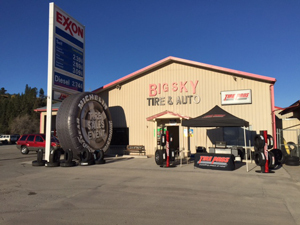 Big Sky Tire Pros can run a complete engine diagnostics test and take care of your engine repairs.